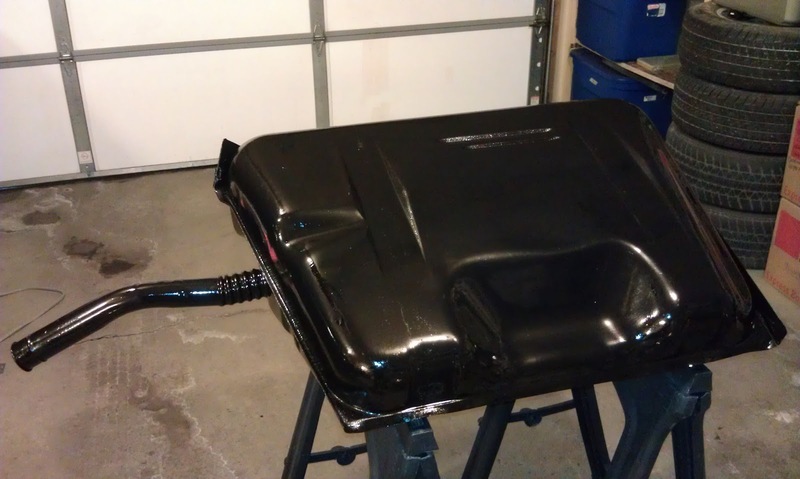 Here is the tank after the first coat. 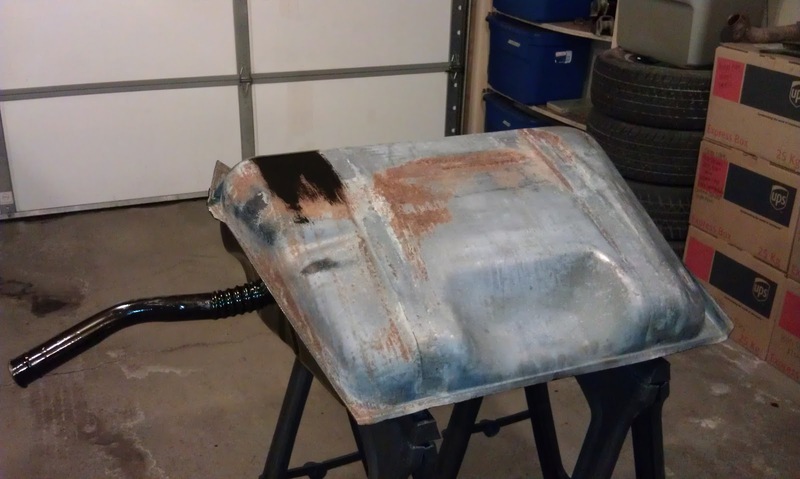 Since this is the bottom of the tank and faces the ground it will be getting all three coats. 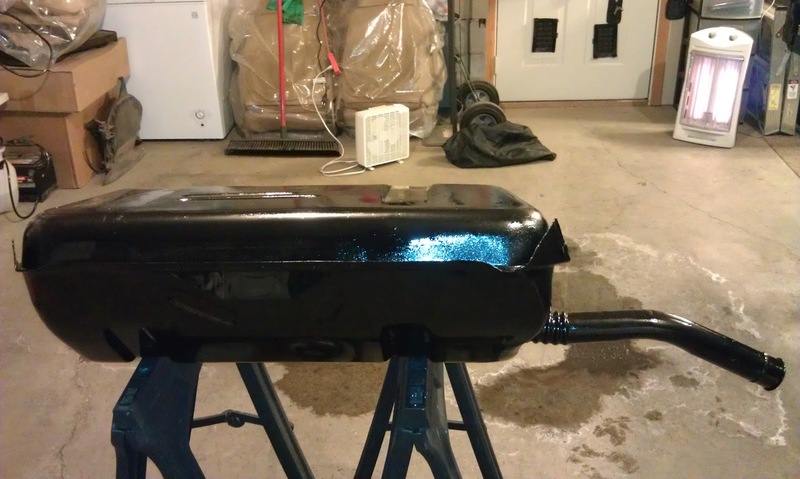 I painted a second coat of POR-15 on the fuel tank this afternoon. 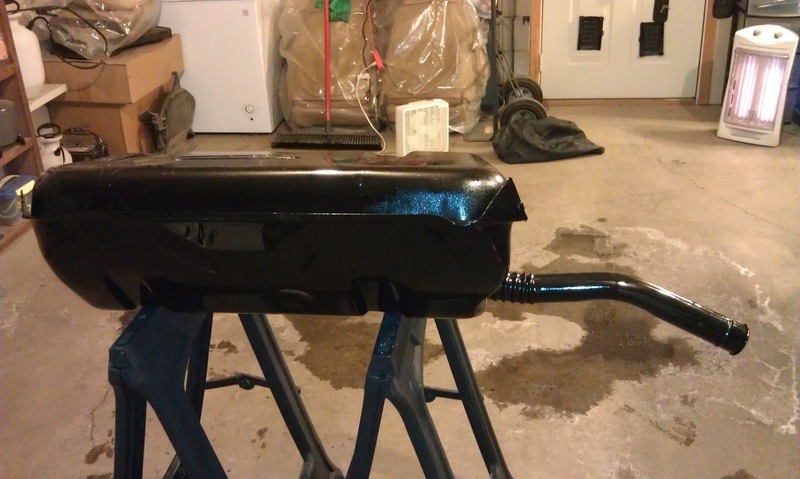 Tonight I painted a third coat of POR-15 on the fuel tank. 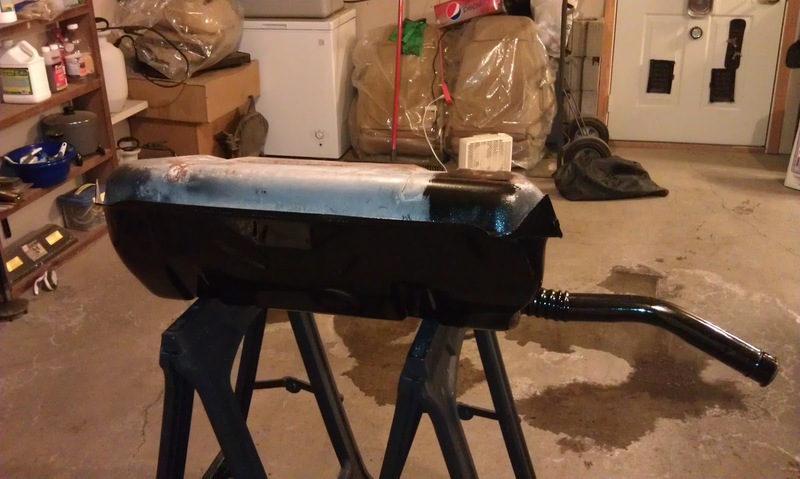 I moved the fuel tank in front of the car so Sara could park the Freestyle inside the garage tonight. 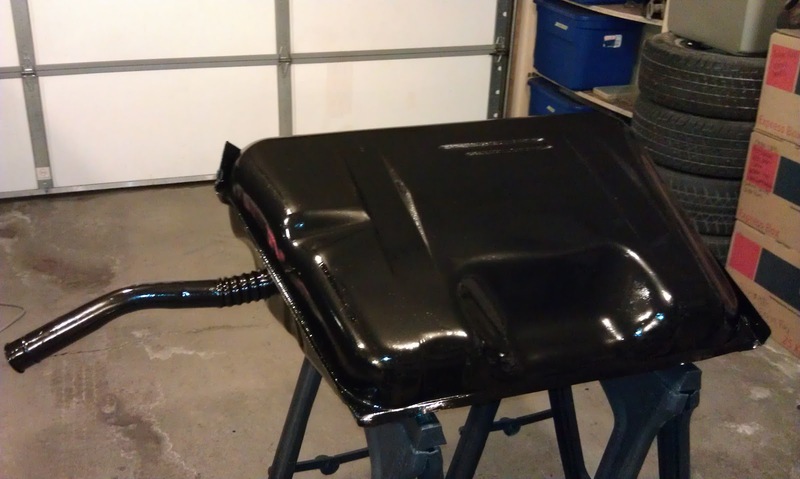 This afternoon I ordered the RAAMmat BXT II and PS Ensolite sound deadening material for the interior of KITT. 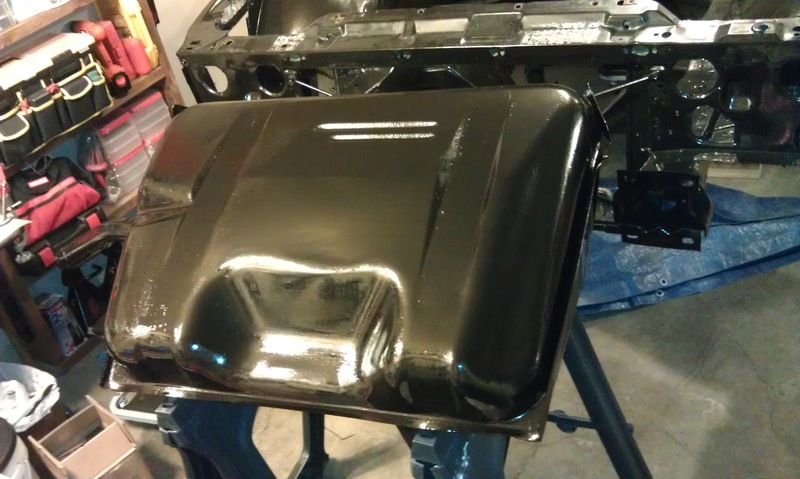 I spoke with Rick at RAAMaudio and he helped me figure out exactly what I need to replace the firewall and do the entire interior of KITT. RAAMaudio makes a low-cost alternative to Dynamat and their product was actually used on the international space station. Rick said my package will ship out tomorrow. I am really excited about starting this part of the project!